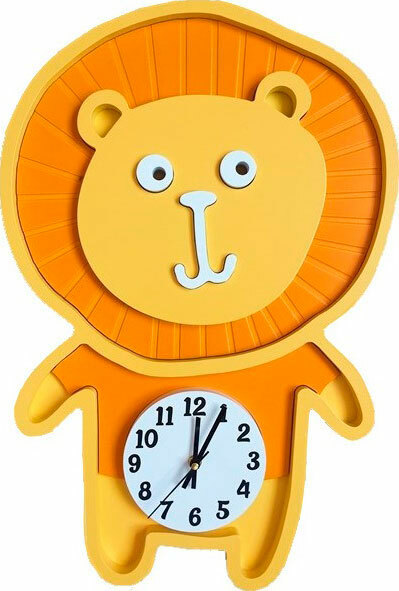 The arrangement of the children’s room is unthinkable without the purchase of wall clocks. 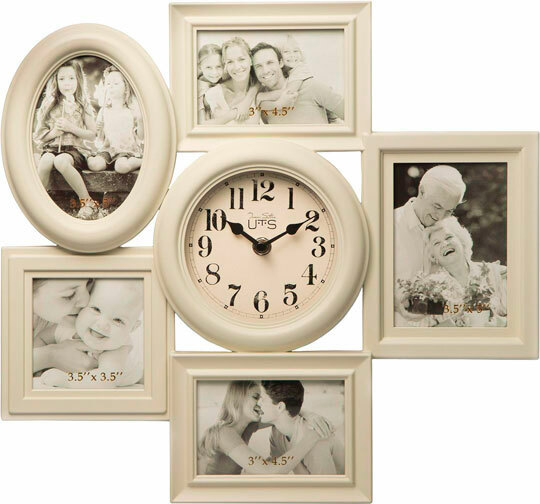 This habitual interior accessory is important not only as a wall decoration. It will play a special role at different stages of the child’s life. 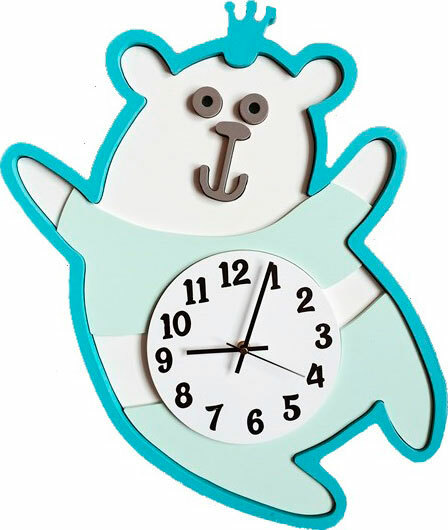 In infancy, large bright clocks help in the knowledge of the surrounding world, and mothers observe the sleeping and feeding regimes of the child. Later a little man with the same help will study more complex abstract concepts such as time. A few years later will begin to orientate himself in an endless stream of hours, minutes and seconds. Today, in our material, we will try to figure out what characteristics should be paid attention when choosing a wall accessory. So that, the purchase would serve for many years and bring only positive emotions. 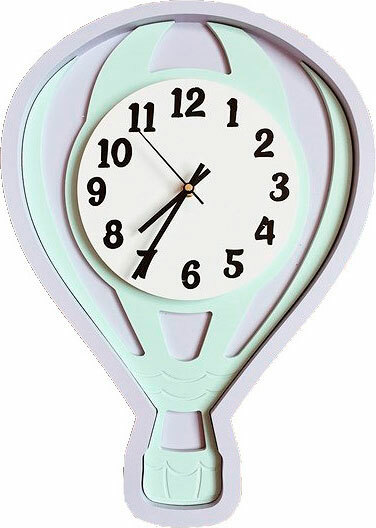 Children’s wall clocks come in different shapes, sizes, and colors, and can also have different images. If the child is already old enough to participate in the choice of interior items, be sure to find out his opinion and personal preferences. Many children show a special interest in fairy-tale heroes. Today’s choice of products is great, so finding a watch with your favorite cartoon character is unlikely to be a difficult task. If the design of the children’s room used a special design, choose a product that will complement the chosen theme. Do not merge with the general background, but represent a bright accent. Older children, who have already formed their own interests, like wall accessories, whose design will support the theme of their favorite hobbies and hobbies, for example, sports, dancing, music or something else. In addition to the decorative characteristics of great importance is the readability of the dial. Perhaps the watch you are going to buy will be the first in the life of the child, and it is from this purchase that will largely depend on whether there will be difficulties with determining the time and how smoothly the training process itself will go. It is not necessary to choose a round watch, but necessarily with a dial organized in a classic way: hour, minute and second – in the center, large, legibly written Arabic numerals – at the same distance on the periphery. In some models, arrows are signed – if the child forgets, which arrow for what answers, the inscriptions quickly orient, and later the prompt will cease to be necessary. Decorating the space of the children’s room, choose not only beautiful, comfortable and functional products but also safe. Pay special attention to the materials from which the watch is made, whether they are toxic. Among the safe, one can select solid wood, MDF (pressed fine wood chips), stainless steel, including IP or PVD coatings, glass, and ecological types of plastic and paints. For example, granular polystyrene and ABS plastic are often used in the manufacture of children’s toys. 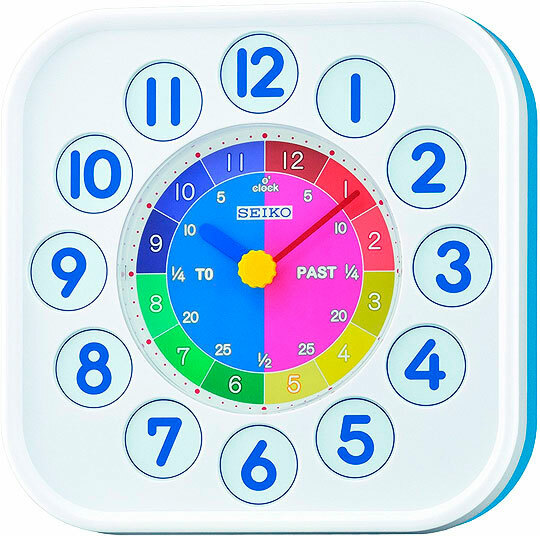 Clocks from synthetic material should be purchased from well-known and proven manufacturers – they usually have a security issue in the first positions. High-quality materials – a pledge of long and pleasant use of the product, they retain their shape and shades for a long time, they are strong, they easily tolerate temperature changes, they do not emit toxins and unpleasant odor. Having discussed the design of products and their materials, we turn to the main component of any watch – their mechanism. If we compare the two main types. 1. Quartz and 2. mechanical watches. Then in the case of the children’s room, it is better to stop the choice of quartz ones. Firstly, there will be less trouble with them, since it is easier to replace the battery once every couple of years than to drive the mechanism regularly. Secondly, the quartz mechanism is less susceptible to breakage in case of accidental physical impact. It is important not to forget that in the process of an exciting game the ball can fly in the wrong direction, by accident, of course. Such moments need to be foreseen. 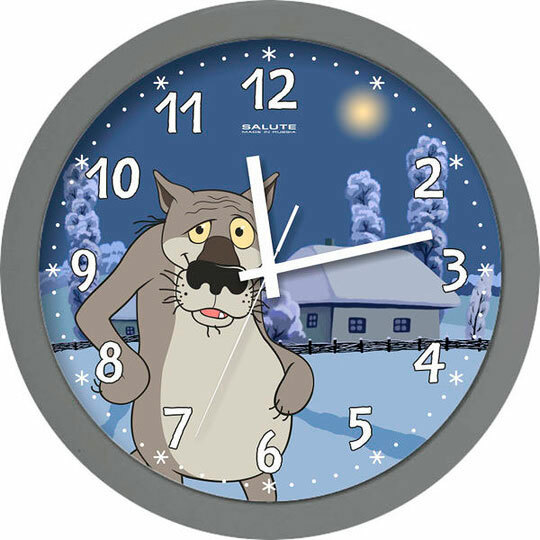 Thirdly, among quartz, unusual models are more often found at a democratic price – a luminous desk clock will help to transfer the darkness more easily, and with an unusual soundtrack guaranteed to cause a lot of joyful emotions! Among the mechanical such a variety you will not find. Another important requirement is the mechanism’s noiselessness. Loud ticks can attract unnecessary attention and prevent you from falling asleep. In addition, children’s sleep is very sensitive, and nightly awakenings are unlikely to benefit.